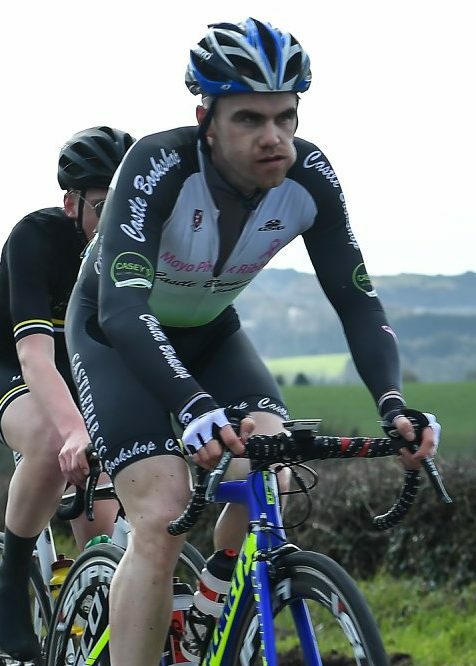 Charlie Prendergast has ended Rás Mhaigheo in the final yellow jersey after the race split to pieces on the final stage. The Castlebar man got clear with another very strong and experienced campaigner in Darragh McCarter for 1st and 2nd on the stage. And the huge gaps in their wake meant they jumped to the top two placings overall; Prendergast winning and McCarter finishing runner-up. Yesterday’s TT winner and this morning’s yellow jersey, junior rider Kevin McCambridge, placed 14th today some 5:15 down.